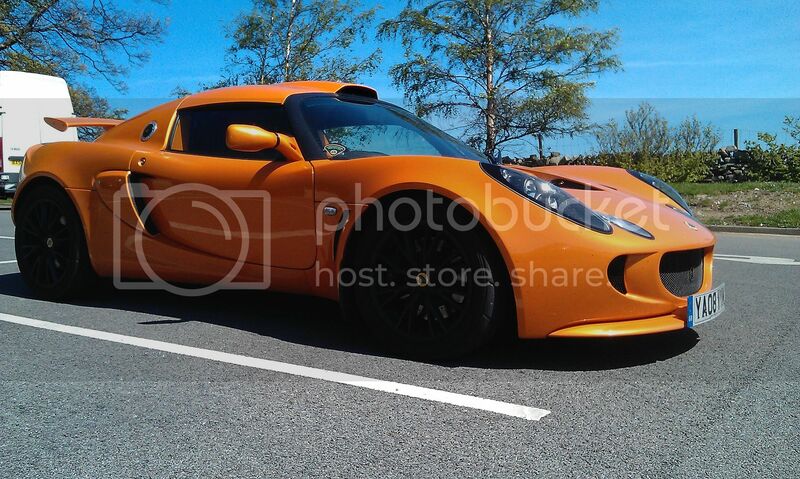 thought i should join up, fairly new elise owner, had many many cars over the years but never a lotus, so here i am, bought from James who i believe is a member here, from up in Prudhoe, its a great car which has had all the right mods and a very extensive history, i knew it was for me as soon as i seen it and its history folder, i wasted no time taking it to my local track at Croft on the 20th of last month, car was faultless and handled fantastic, the sun was shining all day and it was just a fantastic experience. My previous toy was a 259bhp civic ep3 which i also tracked whenever i could. Power wise its not as good but we all know its not about power with these cars. So Hello fellow Lotus owners. Is there any other Hartlepudlians on here? Welcome Jon, a great car you have got there, well known to the regulars on here, glad to see you are using it as intended and hope it gives you great miles of enjoyment too. Welcome along to the best Lotus bunch of boys & girls you will ever find. What part of the mighty pools are you ? Hi. I live in relton way, just behind the whitehouse.